Students have to complete the maze and listen to the teacher to colour the pictures. 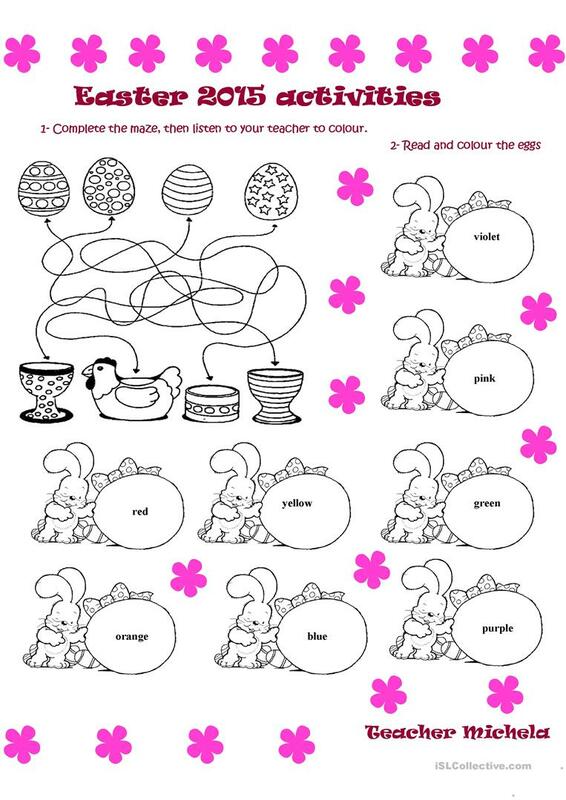 For example: "Colour the starry egg purple...". In the second they read and colour the Easter eggs. I hope you like it! This downloadable teaching material is best suited for elementary school students and students with special educational needs, learning difficulties, e.g. dyslexia at Beginner (pre-A1) and Elementary (A1) level. It is a valuable material for developing your learners' Listening and Reading skills. It is focused on the topic and words of Easter.